Group of three photographs showing 1) members of the William Stephens Davis and wife Georgianna "Georgie" (Irish) Davis family of Woodstock, Maine, 2) the farmhouse of William and Georgie and 3) that of their son Frank E. Davis and wife Annie C. (Bryant) Davis. Identification: The Davis Family. George and Liza Davis; William and Georgie Davis (Father and Mother), Annie (Bryant) and Frank Davis. William Stephens Davis was born 25 May 1847 at Woodstock, Maine, the son of Joseph and Jane (Stephens) Davis. His paternal grandparents were Aaron and Lucinda (Brooks) Davis. His maternal grandparents were Samuel and Desire (Harlow) Stephens. In 1868, William Stephens Davis married Georgianna Irish, who was born 2 November 1850 at Woodstock, Maine, the daughter of Aaron M. and Hannah A. (Penney) Irish. Her paternal grandparents were Joseph and Miriam (Marshall) Irish. 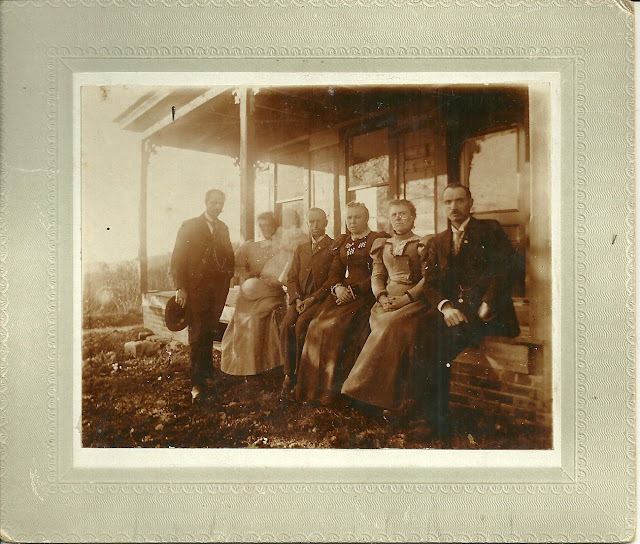 Her maternal grandparents were Tobias and Hannah (Hatch) Penney. 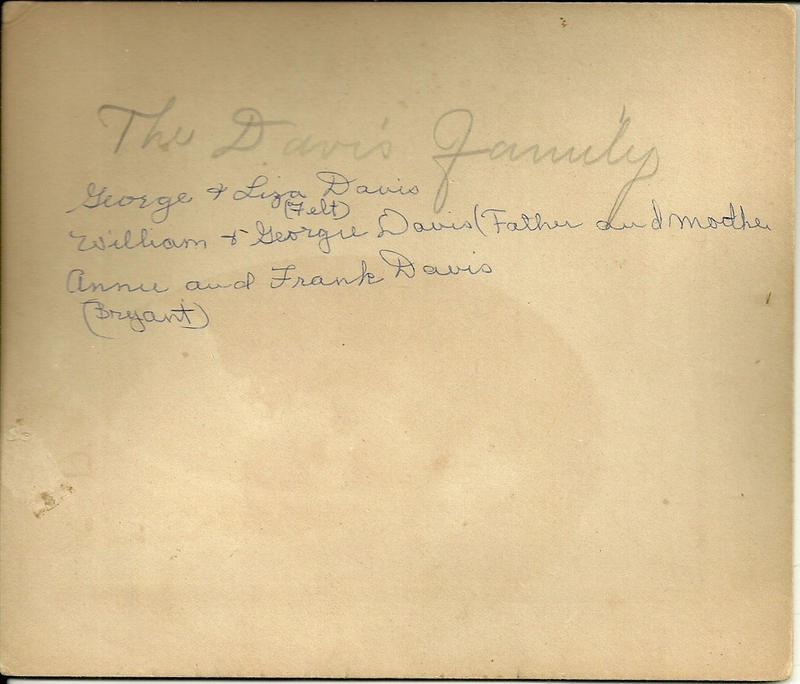 I found two sons for William and Georgie, George William Davis, born 14 September 1869, and Frank E. Davis, born 5 January 1871, both in Woodstock, I believe. In 1890, George William Davis married Eliza Ayre Felt, the daughter of Granville Newton Felt and wife Clarinda (Whitman) Felt. 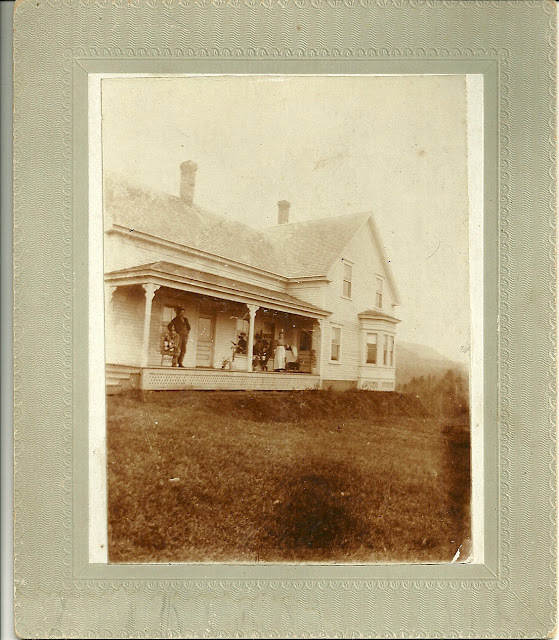 They made their home in Oxford County, Maine, and raised two sons. 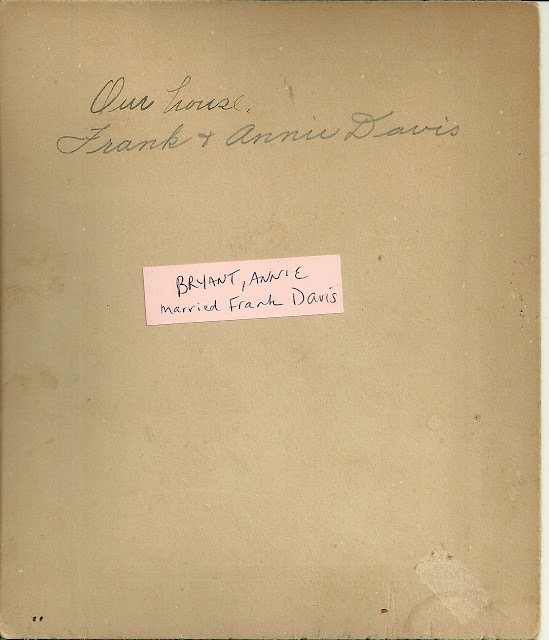 In 1898, Frank E. Davis married Annie C. Bryant, the daughter of Daniel and Hannah G. (Davis) Bryant. They also lived in Oxford County, Maine, and raised a son.